Experience the energizing benefits of Rev3 Energy® in a convenient, ready-to-mix pack. The Rev3 Energy Surge Pack is perfect to take with you wherever you go. Simply mix with a bottle of water and enjoy this fresh, scientifically formulated alternative to the typical energy drink. Rev3 Energy Surge Pack contains a natural source of caffeine derived from the leaves of three different types of teas. 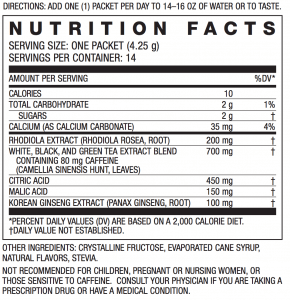 With 80 mg of naturally derived caffeine, Rev3 Energy Surge Pack contains about as much caffeine as an average cup of coffee, but without many of the potentially harmful ingredients, such as large amounts of sugar, excessive calories, or artificial preservatives. 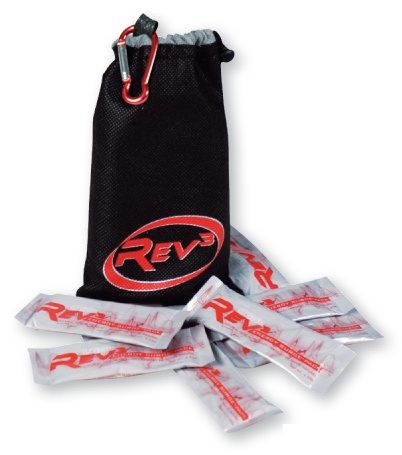 Malic acid and citric acid are part of Rev3 Energy Surge Pack’s complete energy complex. 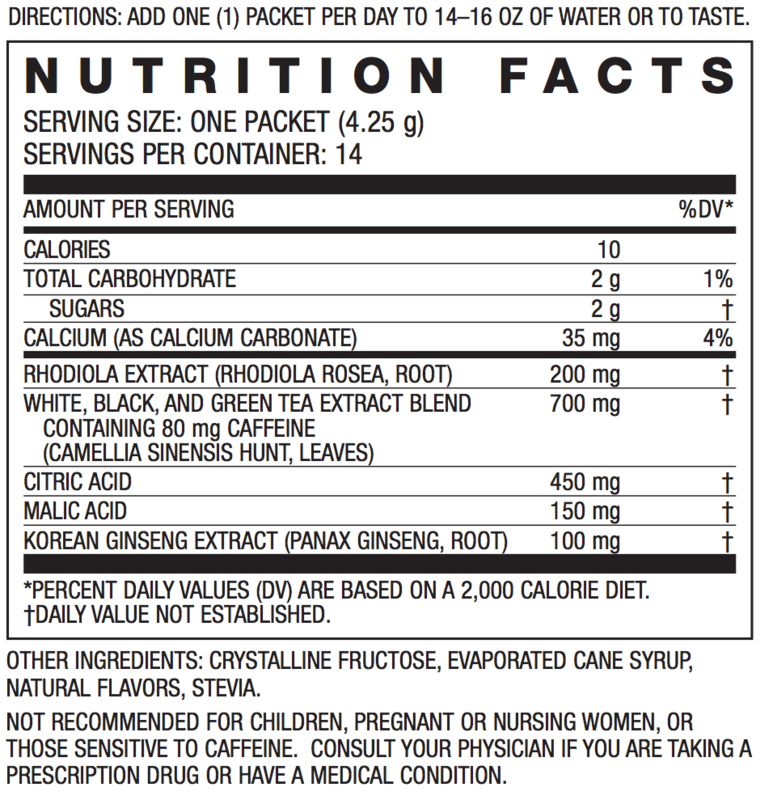 These ingredients are broken down and eventually enter the Krebs cycle (citric acid cycle) and electron transport chain where they help refuel the body’s energy stores.